Queen of nails Madeline Poole should have an art exhibit for all the colorful creations she’s put on other people’s hands. 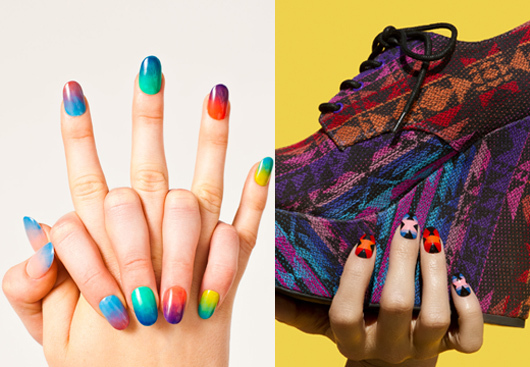 Her blog is a feast for the fingertips, showcasing everything from her Misfits manicures to literal Cheetos fingers. You can see Madeline’s work in various commercials, videos, and editorials, including an upcoming shoot she did with Ke$ha for Wonderland Magazine. To help celebrate NAILZ WEEK here on AL, I chatted with Madeline about some of her favorite nail polishes, her current crush, and her new nail sets that you can buy at Sephora! I know you are a self-taught nail artist and also have a background in painting. 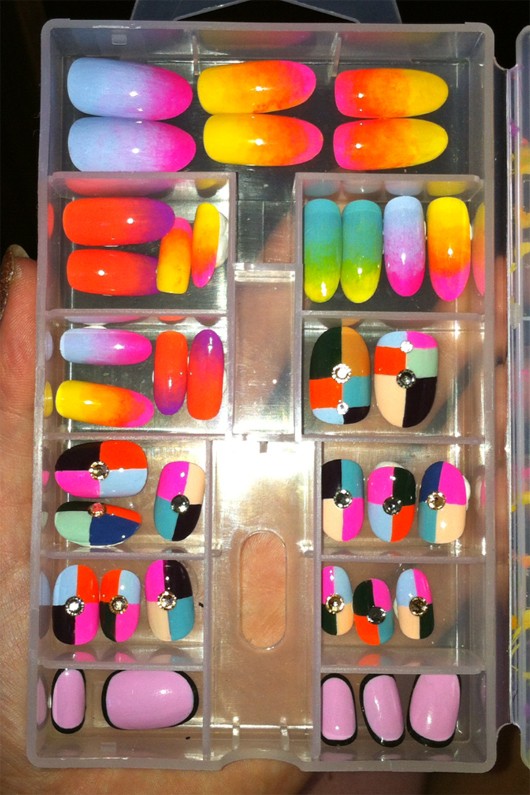 Can you tell us about that and how you got started doing nails? I was just painting my nails one night because I didn’t like my outfit and I really wanted to represent Hello Kitty somewhere so I painted kitty on my nail. I used my acrylic paints, not nail polish….. and it was really easy. So I continued and elaborated and seriously within a week I was a “nail artist” and I haven’t stopped. 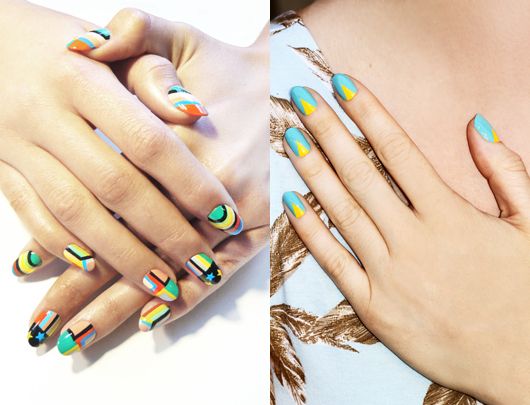 What’s your current favorite nail design? Currently into ALL of these looks but especially the cubic one in the center, really enjoying finding vibrating colors for each quadrant. Any trend you can’t stand? The caviar one creeps me out personally. I think it triggers trypophobia in me. Ew I’m so with you on that… totally don’t get the caviar thing or the crackle for that matter. I mean it was cute for a second but it reminds me of a bad Victorian bed frame. I definitely like listening to R&B when I paint nails. Makes me feel relaxed and salon-y. And this song: special Fergie present from Total Freedom. I love Ginger + Liz “Health is Wealth” and “Jeggings,” Nubar glitter stripers, and Orly “Fancy Fuchsia”. Consuelo Castiglioni of Marni, Kelela Mizanekristos (an a-mazing singer), and Nagisa Tushima of Disco Nail. I do have a miniature collection, but it’s pretty minimal and I’ve lost a lot of it over the years. It’s mostly doll food and accessories. I had this amazing miniature PC computer with a mouse and everything. I’m trying to think, “What do I have a lot of?” and all I can think of is the 10+ empty coffee cups in my car. A fictional character you identify the most with? Mykki Blanco in the “Wavvy” video. OMG. 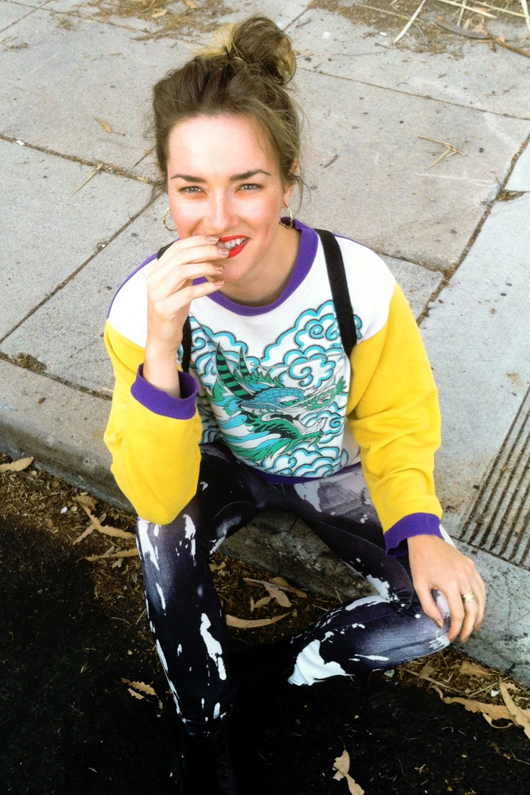 Argan oil, my Kansai Yamamoto dragon sweatshirt, H20, jeggings, my friend Ashland. Any new projects that you can share with us? YES! 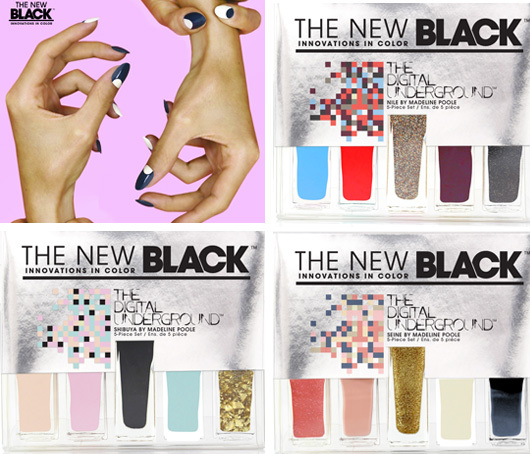 My new nail polish kits with The New Black, they’re super cute. There are three kits, each kit has 4 colors and a striping brush for detailing (the longer bottle in the center.) They are available on sephora.com. For booking: contact Vanessa@nailinghollywood.com and follow Madeline on Instagram and Twitter @MPNAILS! Oh wow I LOVE these nails! Especially the tye die types! 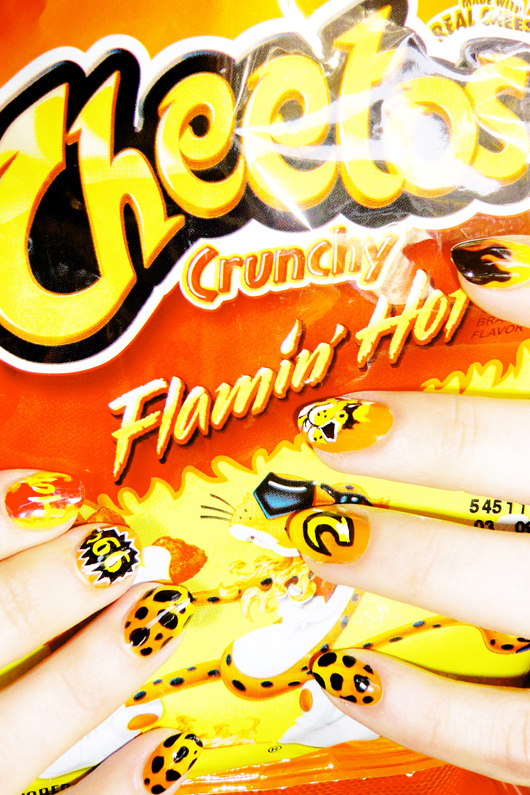 the cheetos set is so genius. Wow I love the pink, red and yellow nail design – awesome! this was a great interview! so cute! i love y’all.